Rochelle and I spent the end of last week texting about how excited we are for The Great Gatsby movie to come out on May 10th. We were joking about making dresses, taking photos of ourselves at the movie theater, and then doing a blog post of us having a virtual hang out session (we're dorks). Would any of you be interested in joining in on our fun? I don't mean taking photos at the theater (although you could! 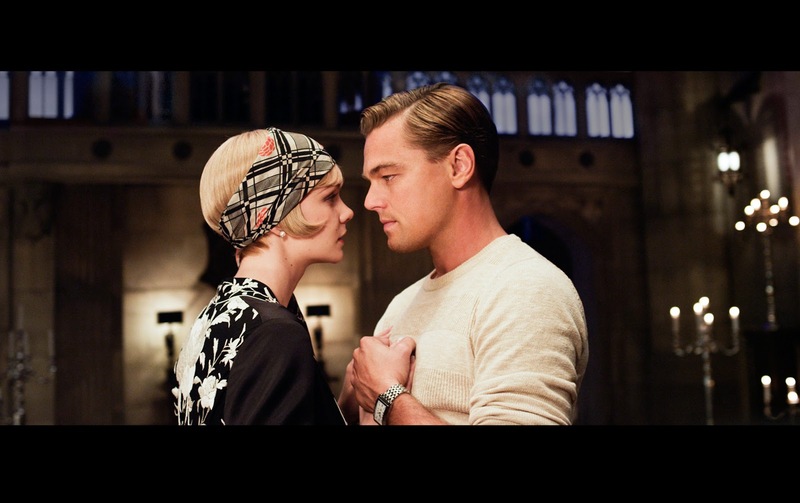 ), but do you have an interest in making 1920s inspired clothing for a Gatsby sewing challenge? yes... I love the extravagant bead work on 1920's cocktail dresses, and I've wanted to make a flapper inspired dress for too long. Since Laurel was introduced, I've been imagining how I could adapt that simple shape for a flapper-ish looking dress. This would be totally fun! Beading aside, it could potentially be a quick project too. I am SO excited about this movie (!!! ), but the 20's silhouette on myself looks awful. I could imagine making a art deco inspired shirt or something of that nature instead... You should do it! I'm in the same boat as isidore256, in that the 1920's silhouette is definitely not right for me, besides the fact that I'll be away from my machine for the entire month of April. Still, I'll gladly cheer everybody else along in the challenge! I was thinking that it might be fun to make garments from modern patterns that are inspired by the 20s (so your shirt would be perfect!) and/or garments that are from older patterns. Or make accessories with a 20s feel (cloche hats, knitted items, beaded accessories etc). You're going to have so much fun on your trip! Yes yes!! I've already been planning on making one for the premier! I would definitely be in!! Oh yes, please!! How fun would that be?! I am very interested! The 20s is not a decade that comes to mind when I look for inspiration, so this could get interesting! Ooh that sounds interesting! I've never made anything 20s as it doesn't suit my figure but maybe I can try an accessory or adapt something to suit. YES YES I WOULD. I actually got a swatch of fabric the other day because thought "this would be so amazing for a 1920s-ish dress but I have no idea what I would make with it." Seriously. I'm looking (perving) at that very swatch right now. I haven't read the book so I don't know how much the movie will interest me. But I'd love to see what everyone came up with for the challenge regardless. I cant wait for this movie!! maybe we could go together!? Ooo... this sounds great! I'm so excited about this movie! Yes, yes, yes! I posted about my love for the great Gatsby a while ago. I'm so excited for the film. Oh yes!! I've been wanting to make a Downton inspired dress for awhile!! Yes, please! Sounds like such fun! I would love to make something 1920's, I will have to find a vintage pattern. Hope I can fit it in with all of the wedding dress sewing! Oh, yes! Please! That sounds like a lot of fun! Oh yes looks like a great challenge. I'm anxious to see the final result. I just found your blog now, and I love it. I'd love to participate on this saw. Count me in! Gah, that would be amazeballs! I can only hope my meager skills are up to the challenge! That's a really good idea! I need to make a bias sewn project too! Yay, Debi! I was hoping you would join in! Awesome! I can't wait to see what you make! The anticipation is killing me hahha. I want to see it so bad! I'm going to post a few ideas this week that might work! You still have time to read it! Literally every comment from you cracks me up!!! I haven't made anything 20s, so it's going to be super interesting! Your Pinterest board is awesome! Would you mind if I linked to it in a future post? Yes I think I can make it happen! I want to make that 1920's drop waist dress out of the Burdastyle Sewing Modern Vintage book.